Welcome to Summer in New York City. The thermometer reads HELL, you can't walk a block without developing some form of visible sweat, and at any moment you can be overpowered by yet another unidentifiable odor radiating from the asphalt. We love it here too. So with all the awesomeness going on we decided to make experiencing the sights, sounds, and smells a daily occurrence. From July 1-31 we'll be running every day - with no excuses. That means no days off, no rain checks, and no hangover holdups. 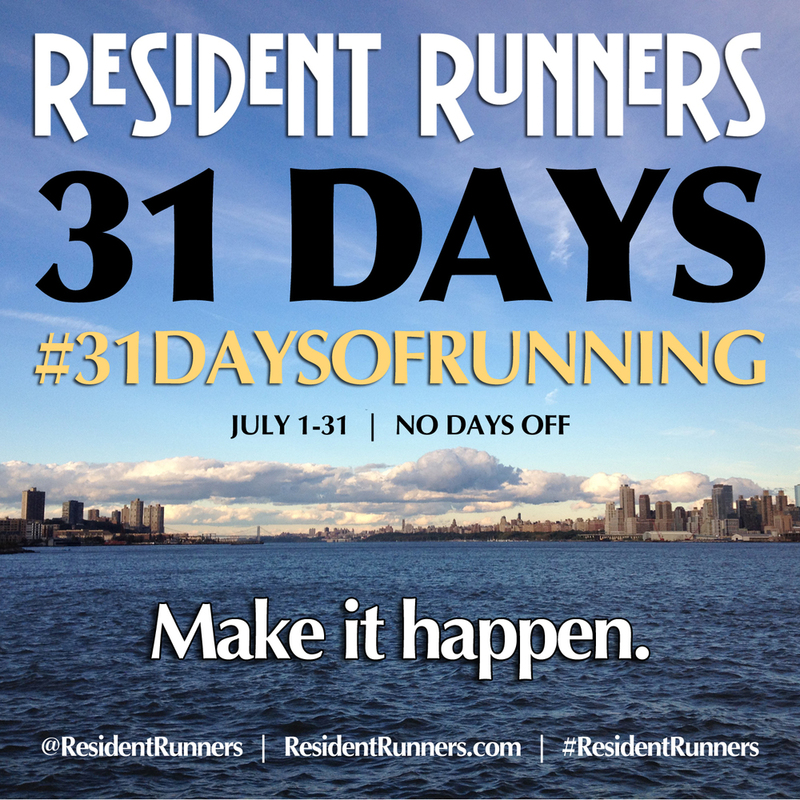 Welcome to "31 Days of Running" with Resident Runners! Hit our weekly Thursday night run at 6:30pm (West NYC - W 147 72nd St. b/t Columbus & Amsterdam) and we'll be posting additional meet-up days and times as we go. Hitting 31 days on your own? Word. Tag your photos and share the inspiration!